When you are in client service, your job is never finished when it comes to achieving perfection in client service and satisfaction. There is no point sitting idle on the peak and waiting for the downfall. To remain where you are, you must continue to excel in your domain and keeps on winning the faith and confidence of your customers. The immigration industry is no different in this regard. It demands the same amount of dedication, hard work and excellence in client service, as any other industry does. Visas Avenue has come a long way over the years to earn a reputation of leading Immigration Documentation Consultancy Firm in India. Its consistently good client service and ability to achieve results for its clients has contributed largely to its success. Year 2017 had been amazing for Visas Avenue team. In last few months, Visas Avenue has achieved incredible milestones in terms of consistently winning PR visa approvals for visa and immigration applicants. Visas Avenue ability to constantly deliver results has made it a trustworthy Visa Documentation Consultancy firm in India. 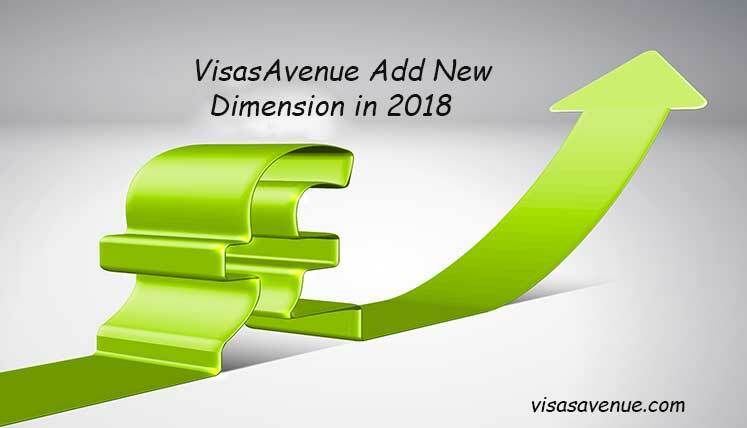 Visas Avenue is all geared up to repeat the success of this year in the year 2018. The target is straight and simple, win the visa approval for most of the clients. Here are a few key steps it is going to implement next year to achieve its goals and objective in 2018. Visas Avenue has a primary objective of ensuring the strict adherence to its Anti-fraud policy in the interest of its clients or Visa applicants. The management has taken this step in view of various fake agents and agencies active around, which target the innocent visa applicants to make easy money from them. The client service managers will emphasize on reducing the error percentage in the visa applications to negligible to drastically augment the approval percentage on the submitted visa applications. Hassle free immigration documentation will be the other area of work for the Visas Avenue client service managers and documentation team. Each and every team member will hundred his/her hundred percent to make the documentation process absolutely trouble free for the clients. It has been observed that despite the correct application as well as submitted documents, the applications of the applicants get delayed unnecessarily. Hence, management has instructed the follow-up team to make certain no visa application remain pending with the immigration office for the pointless reason. Consistent follow up in the coming year will make certain the timely decisions on the applications. If you have plans to move overseas countries, i.e. Canada, Australia, New Zealand, Germany, etc. you may get in touch with highly qualified and registered Immigration and Visa expert at Visas Avenue for inclusive Immigration documentation assistance. You may call the expert at Toll-Free Number- 78-18-000-777 or e-mail your queries to info@visasavenue.com.